Tough AND sweet. This belt is 40mm (1½″) wide and made from high quality Italian leather. 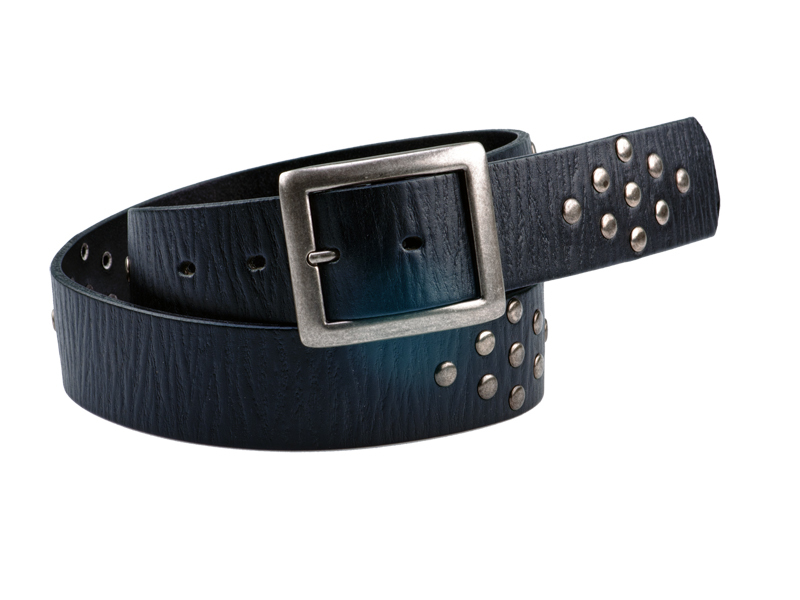 The leather has been distressed to achieve a well worn feel and has decorative studs in diamond patterns. It has a classic square double buckle with a brushed nickel finish made from tough zinc alloy.